If you follow the news closely, as I imagine most of you do, it can sometimes be depressing. Our enemies hope to demoralize and depress us; to take the wind from our sails to weapon us and keep us from fighting back. In order to keep them from succeeding, now is the time to do even more on behalf of Israel. There are many, simple and even positive things that each of us can do. Write a brief letter-to-the-editor touting some of Israel’s recent accomplishments. Call a member of Congress who has been particularly good on Israel and thank him or her. Go to an Israeli Web site and buy items from Israel if you have a birthday or anniversary of a loved one or friend coming up. Of course there are a variety of ways we can each help Israel. 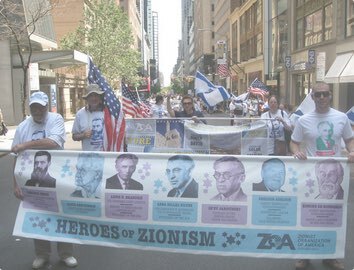 I discuss many of them in a new workshop Philadelphia ZOA is offering called “Helping Israel With Effective, Strategic Advocacy” that is good when any audience interested in Israel. Lots of new ideas, new ways of reaching others and how to contact important people. Please consider having your congregation or organization host a workshop. They would even be good for your home at a parlor meeting. To schedule a workshop, call our Office at 610-660-9466.